So I started the card by masking off the moon using a normal circle diecut and blending different greens, yellow and black together. By the way - I was inspired by one of the Halloween cards during Lawnfawn inspiration week. When I saw the green background I immediately fell in love with it - so I had to use similar colors on this card (thanks for the inspiration!!!). 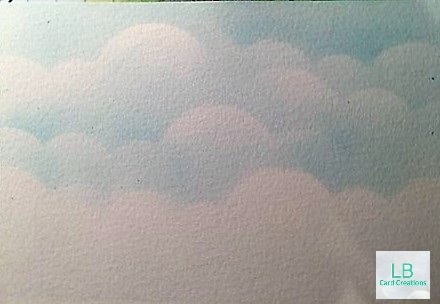 Then I masked off the sky and created the ground using brown and black distress colors. I fuzzy cut them and heat embossed the sentiment included in the set with white embossing powder. Then I adhered all the images to my background - for the baddies I used foam squares. I also added a spider and a bat from different stamp sets (Lawn Fawn and Mama Elephant). Last but not least I used glossy accents on the apple and the wand/globe (don't know what to call that :) ) and adhered the panel to a cardbase. I am so in love with that color combo!! Hello everyone! I've already bought some of the new Avery Elle Winter/Christmas products to go on with my Christmas cards. Well, today's card is the result of mixing Christmas products with hot summer temperatures ;-). I created the snowy background by ink blending the distress inks scattered straw, mustard seed, dried marigold and spiced marmalade. Then I used the new 'snow falling' die to create the colorful background. Next I stamped the images from 'elf-tacular' with archival jet black ink onto watercolor paper and colored in the elf and the gifts with Zig clean color real brush markers. The images are quite big, which I like because they fill in a card easily, but because of that I fuzzy cut them to avoid the white border. I clued them to the background and added some shimmer with my Wink of stella clear brush pen. I used the sentiment included in the stamp set and a die from 'sew fancy' together with a piece of pattern paper. Last but not least I adhered the label with foam tape and the background to a standard-sized cardbase. Hi there! I made this card for my brother's birthday. 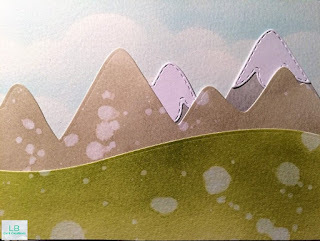 I needed a bike because he bought himself a new mountain bike and found that tandem from Mama Elephant - so I created a design where it looks like a bike :) I included mountains and some trees into the scene because he mostly rides through forests and mountains. 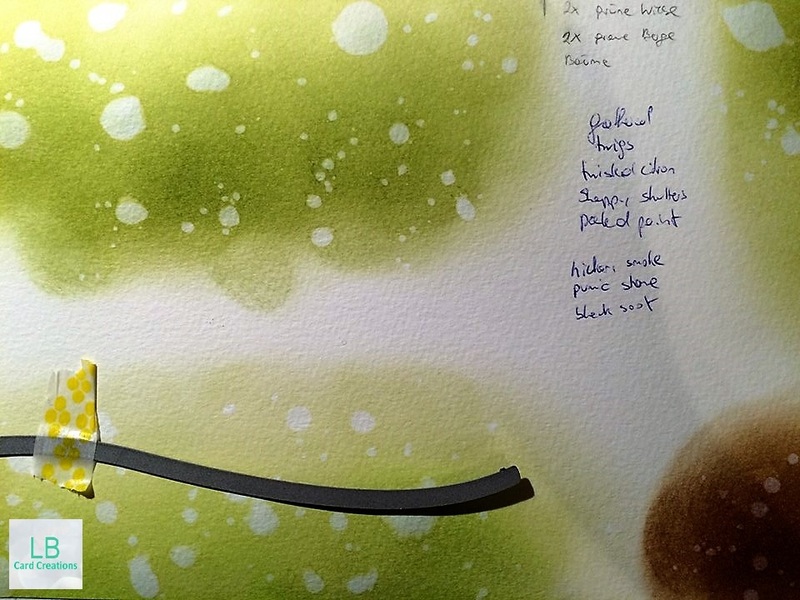 Whenever I use more layers I sketch them before starting with the card and create a full sheet of different distress colors - then I can sprinke it with water and diecut the landscape layers all at once. It saves me a lot of time!!! 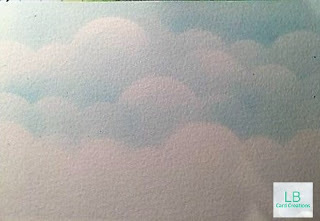 For the background I created soft clouds with tumbled glass distress ink and the 'landscape trio' dies from Mama Elephant. Then I started layering the different landscape pieces. When all of them were adhered to the background I stamped the images from 'tandem ride' and colored them in with Zig clean color real brush markers. Unfortunately I can't find the sheet where I wrote down the exact numbers of the markers I used.